A fine example of 21st century creative architecture in Kutaisi, designed by Spanish architects Alberto Domingo and Carlos Nazaro. Unique shapes and an unusual structure create the impression of a spaceship, and renowned Georgian writer David Turashvili once compared it to the elephant sketch from ‘The Little Prince’ of Antoine de Saint-Exupéry. It is definitely a must-see place for visitors to Kutaisi. The Georgian Parliament Building in Kutaisi was constructed from 2011 to 2012 in Kutaisi, traditionally the second most important city of Georgia, 231 kilometers west of Tbilisi, the capital, to house the Parliament of Georgia. 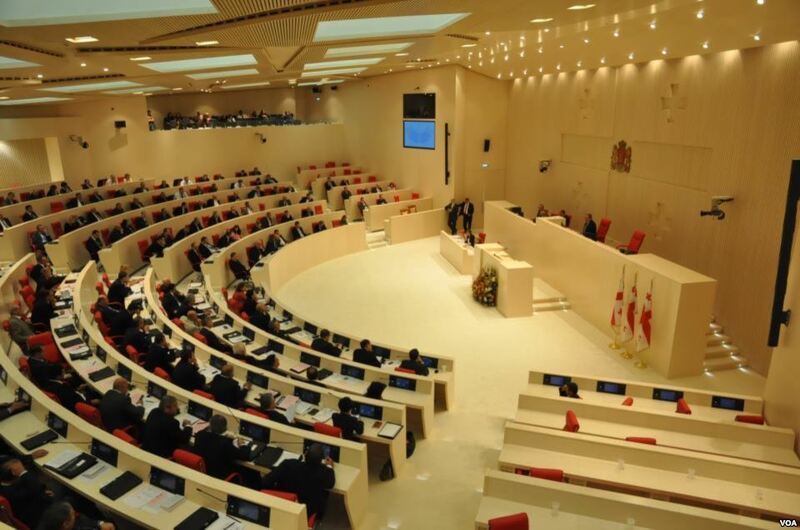 Commissioned from the CMD Inginieros, the building was inaugurated on 26 May 2012 and became the main seat of the newly elected Parliament in October 2012. 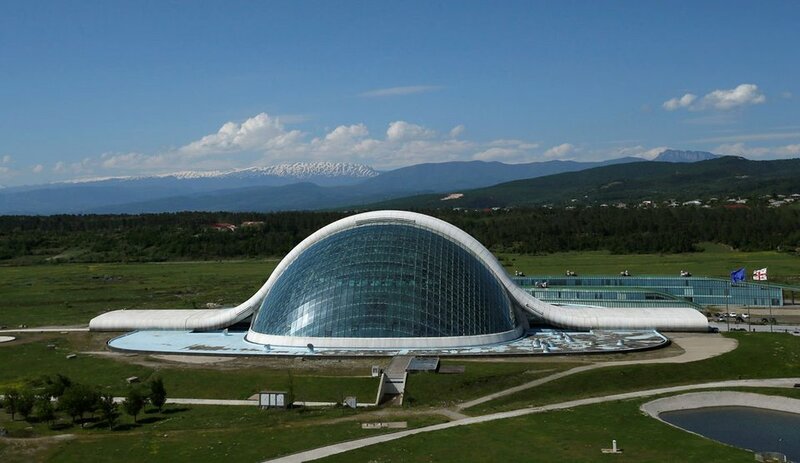 The exterior of the building is dominated by a 100 x 150 meter oval-shaped glass and steel dome. It was constructed on the initiative of then-President of Georgia Mikheil Saakashvili on the site of a memorial to Soviet soldiers of World War II; the monument was demolished with explosives to free space for the construction in December 2009, accidentally killing two people, a mother and a daughter. The government, during construction works, promoted it as a symbol of Georgia's bright, democratic future, it location bringing a much-needed boost to the regional economy in Kutaisi and a way to unite the country. This ocncept has had its critics, and when the Georgian Dream coalition came into power, they decided to move all parliamentary activities back to Tbilisi. The constitutional amendment passed in 2017 entered into force in December 2018, containing no reference to Kutaisi as the seat of the Parliament, meaning that the Parliament fully returned to the capital in January 2019. The building in Kutaisi is to pass into possession of the Ministry of Internal Affairs of Georgia.